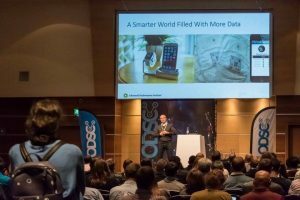 Well-spoken on technical data science topics, ready to give a talk, teach a workshop or never spoken before but passionate about sharing your knowledge of data science? Consider submitting a talk for us to review for upcoming conferences. Click here to submit.